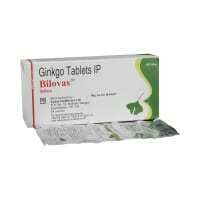 Movahexy 5 Tablet is used in Parkinson's disease and drug induced abnormal movements. Take this medicine in the dose and duration as advised by your doctor. Swallow it as a whole. Do not chew, crush or break it. Movahexy 5 Tablet is to be taken with food. Movahexy 5 Tablet is an anticholinergic medication. It works by decreasing the activity of a chemical messenger (acetylcholine) in the brain. 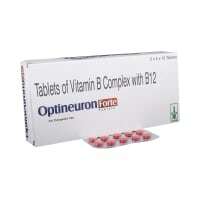 This improves muscle control and reduces stiffness in Parkinson's disease. 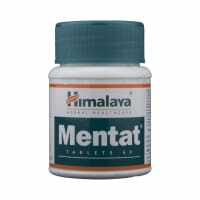 It also improves movement disorder (restlessness, involuntary movements or muscle spasm) caused by certain other medicines. Movahexy 5 Tablet may cause excessive drowsiness with alcohol. Movahexy 5 Tablet may be unsafe to use during pregnancy. Movahexy 5 Tablet should be used with caution during lactation. Breast feeding should be held until the treatment of the mother is completed and the drug is eliminated from her body. 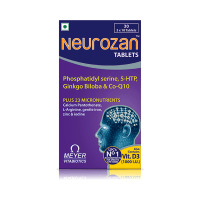 Movahexy 5 Tablet can cause blurring of vision, dizziness, mild nausea, and mental confusion in some cases. This may affect your ability to drive. There is limited information available on the use of Movahexy 5 Tablet in patients with kidney disease. Please consult your doctor. There is limited information available on the use of Movahexy 5 Tablet in patients with liver disease. Please consult your doctor. Movahexy 5 Tablet helps treat Parkinson's disease and drug-induced abnormal movements. 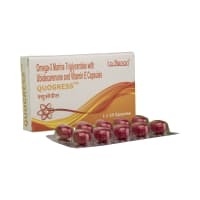 Do not stop taking Movahexy 5 Tablet without talking to your doctor first as that may cause worsening of symptoms. Do you have any questions related to Movahexy 5 Tablet? Q. What is Movahexy used for? Movahexy is used in the management of Parkinson's disease as an add-on medicine along with other medicines. It helps by improving muscle control and reducing the stiffness of the muscle so that they can move naturally. Movahexy can also be used to treat movement disorders (extreme restlessness, involuntary movements or muscle spasms) which can be caused by certain drugs. Q. How does Movahexy work? Movahexy works by blocking the action of a chemical messenger known as acetylcholine on the nerves of the smooth muscles; thereby, reducing the muscle spasm (involuntary contraction of a muscle or group of muscles), tremor (uncontrolled shaking) and excessive salivation associated with Parkinson's disease. Q. Is Movahexy a narcotic substance? No, Movahexy is not a narcotic substance. Movahexy is an antispasmodic(muscle relaxing) medicine and belongs to a group of medicines known as anticholinergics. Movahexy is a safe medicine if used at prescribed doses for the prescribed duration as advised by the doctor. Movahexy is an antispasmodic (muscle relaxing) drug and belongs to a group of drugs known as 'anticholinergics'. Q. Does Movahexy get you high? Movahexy has been reported to get you a high. Please use this drug only for prescribed duration in doses as recommended by your doctor. Q. Does Movahexy cause weight gain? Movahexy has not been seen to cause weight gain. However, weight loss has been reported with Movahexy in children. Please consult your doctor in case you experience an unexpected change in your weight while you are taking Movahexy. F-11, 2nd Main Road, Anna Nagar East, Chennai - 600 102. A licensed pharmacy from your nearest location will deliver Movahexy 5 Tablet. Once the pharmacy accepts your order, the details of the pharmacy will be shared with you. Acceptance of your order is based on the validity of your prescription and the availability of this medicine.